We were on holiday in a hire car. Stewart did everything he could to get it sorted. In the end we had to go to Bangor to get it fixed but he made sure they were ready for us when we got there. Thanks. All round great system. . . 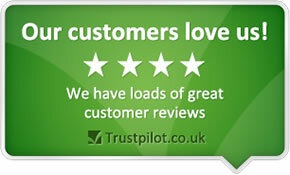 Ordered tyres from Tyre-Shopper.co.uk. Phoned Horsham Branch to arrange Friday 2 O'clock fitting of tyres. Arrived at branch at agreed time, greeted by very polite chap on Reception, tyres fitted and i was on my way home within an hour. . .Brilliant! Very pleased with them, but do not have conversations about tyre issues very often! Pleased with the quality of work and the willingness of staff. Very helpful and friendly staff particularly the Scottish guy, I think his name is Steve. I had to return twice, because although I bought 5 tyres, they weren't all fitted at the same time due to my personal requirements. Steve was patient with me and listened to and understood my (extended!) requests involving tyre rotation. Both of the other fitters, whose names I can't recall, took the utmost care of my newly-refurbished rims and I left very happy with the service I had received. Very happy, but not convince prices are the best. Got wait I paid for. Good service and a job well done. Got what I paid for. Happy customer. Polite and helpful staff and the cheapest in the local area. X Excellent service. On time, friendly & polite. Great price deal too. Good customer service and communication as well as getting the job done efficiently. Used in the past regularly with great customer service. Friendly staff Brilliant service Didn't try to sell me the most expensive tires! Which was good cause I have a week to go to payday! Unbeatable service with very friendly, efficient and cooperative staff. Precise, courteous attention to the issues presented by my vehicle breakdown and resolution with clear explanation of why it happened. Convenient to Horsham town so I can go shopping whilst the job is being done, also the work is done when they say so no hanging around. I have been going to my local branch in Horsham for sometime all the staff are friendly helpful and cheerful. Nothing is too much trouble and have recommended to friends and family and work colleagues. Very professional with their work. Courteous friendly staff efficient and friendly. Happy to recommend them, but it's not a discussion I often have! Excellent price promotion on an MOT and I received a card several weeks before reminding it was due and offering the 50% discount. The job was done swiftly and efficiently at the agreed time and the staff were very helpful in taking me through the advisory items and advising on what action was necessary and in what timescale. A previous puncture repair also very efficiently and helpfully dealt with late on a cold winter afternoon and without appointment. Acting on branch advice, I then had the brakes and a tyre replaced-again, very efficiently done. All the chaps were very friendly and helpful.